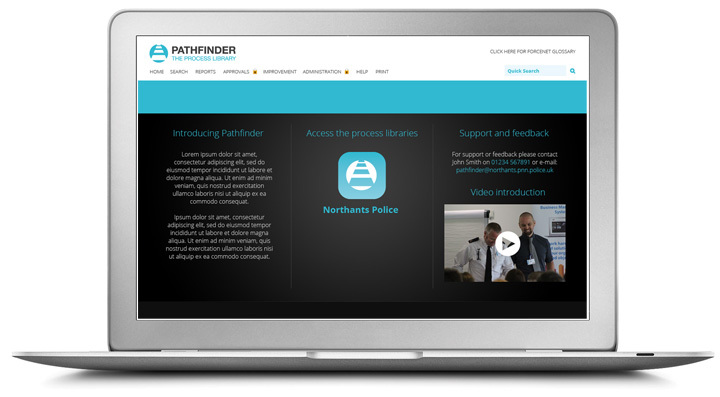 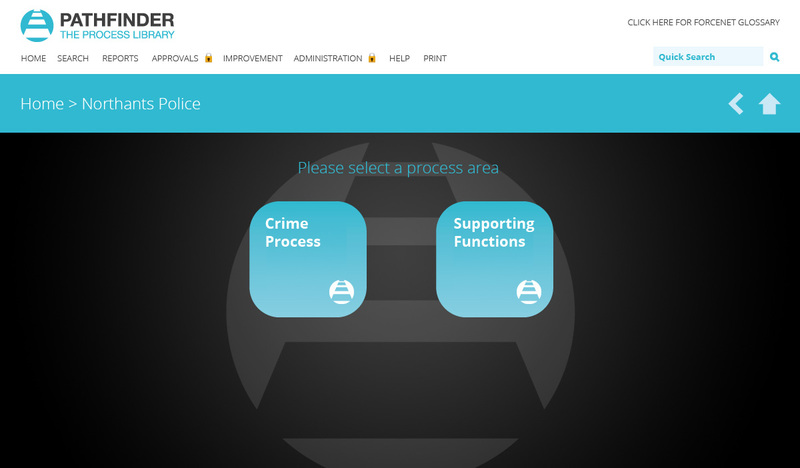 Northamptonshire Police have purposely not branded their Process Library, Pathfinder, with a Northamptonshire brand to enable other police forces to use the same Process Library as they move towards regionalisation and sharing of processes. 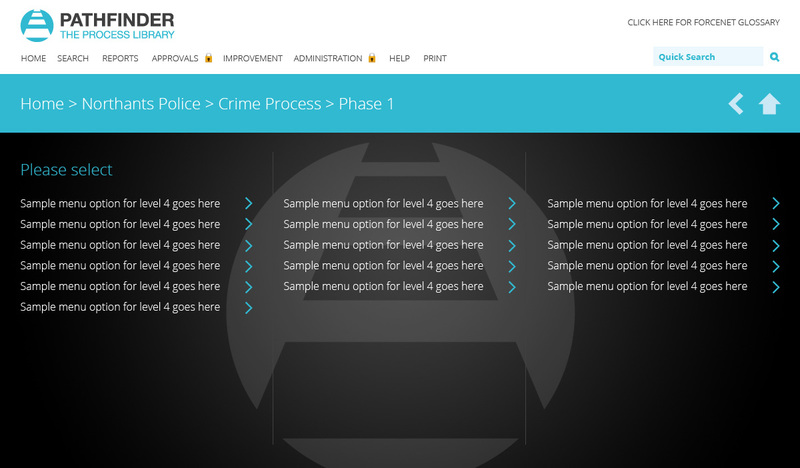 The entry page offers an introduction to the Process Library and the next level offers process areas that have been mapped. 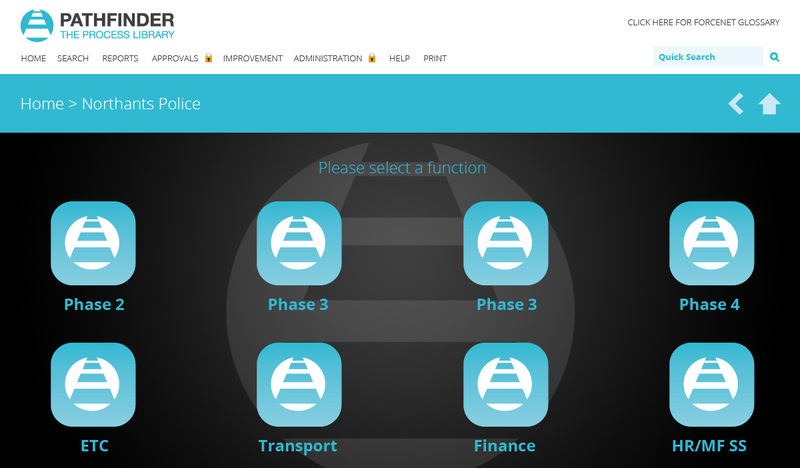 This design offers flexibility and scalability to add more process areas as they are developed. 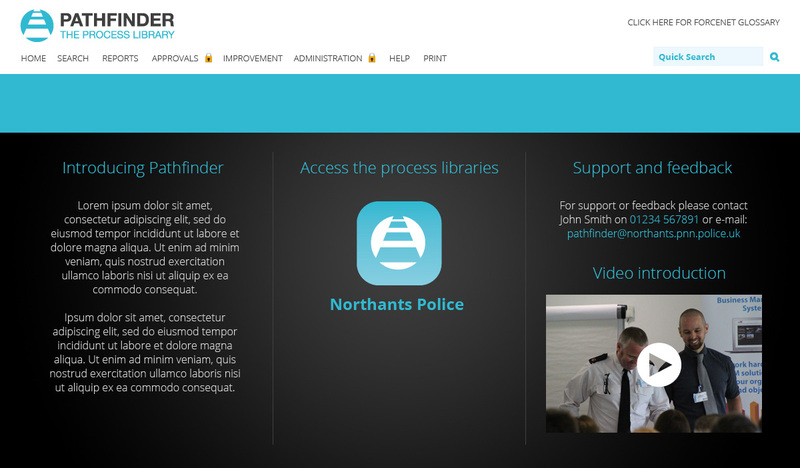 Currently the development is primarily project driven but eventually the library could become the management system used across the East Midlands region.